Hyaluronic acid is in vogue in the world of wound healing. And it seems that this privilege position will last long time. The key to understanding the beneficial role of this molecule in wound closure is given by the analysis of the foetal healing process. In the foetus, healing generally involves tissue regeneration, not tissue repair. The process is rapid, with no inflammatory phase and no scarring. This absence of inflammation is influenced by the composition of the extracellular matrix of the foetus, which is different from that of the adult. Hyaluronic acid, which is abundant in the foetal dermis because it degrades to a lesser extent. By inhibiting platelet aggregation, it produces a decrease in growth factors and inflammatory mediators in the wound. In addition, hyaluronic acid plays an essential role in cell migration, proliferation and differentiation. Interesting, isn’t it? Let’s learn more about this promising molecule. Hyaluronic acid is a polysaccharide found in different human tissues, including skin and soft tissues. 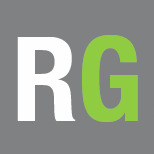 It is a molecule with a high capacity to absorb water (hygroscopy) and form gels. Since the discovery in the 90s that the esterification (union with an alcohol) of hyaluronic acid helped to preserve its characteristics, it has been possible to design dressings that contain it in different presentations (gel, cream, sheet, matrix). The objective is that the products applied topically maintain the activity of hyaluronic acid, avoiding rapid enzymatic degradation in the wound bed. This high concentration of hyaluronic acid would simulate the environment of foetal healing, in which it is maintained at high levels until complete healing. What do studies conclude about its benefit in wounds? Different studies have shown, in vitro and in vivo, the beneficial role of hyaluronic acid in wound healing. In 2012, a systemic review2 was published, which collected clinical trials on the usefulness of hyaluronic acid derivatives in the treatment of a wide variety of wounds: burns (including radiodermitis), superficial surgical wounds (dermabrasion) and chronic wounds (venous ulcers and diabetic foot). Of the nine included clinical trials, which registered either complete healing or percentage wound size reduction, eight found differences in favour of hyaluronic acid compared with conventional therapies. The remaining study, which included 11 patients with wounds produced with dermatome to obtain a partial skin graft, found faster healing in wounds treated with pure glycerine than with hyaluronic acid. The wide range of n (sample size) of the studies analysed in the review (10-160 patients included), the variability of the product used and how it was applied, and the combination with other procedures (skin grafting) should be noted. In subgroup analysis according to wound aetiology, a significant acceleration of healing was detected in neuropathic ulcers treated with hyaluronic compared to other aetiologies. It is important to point out that this review does not include studies evaluating the benefit of hyaluronic acid in combination with other active principles, which may also be interesting. 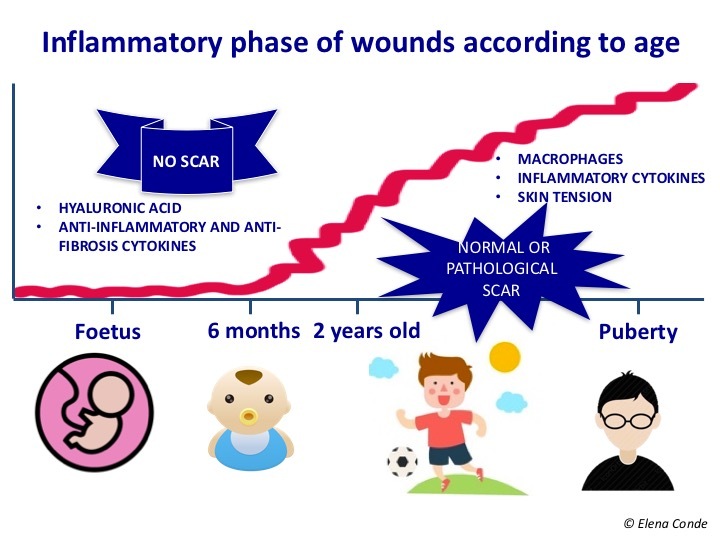 If we consider that a non-healing wound is a stagnant lesion in an abnormally prolonged inflammatory phase, it is interesting to continue researching and optimizing preparations with hyaluronic acid, for its known modulating action on inflammation in the normal healing process. But WATCH OUT! Like any local wound treatment, it must always be framed in a holistic anti-inflammatory strategy, in which the fundamental pillar is the appropriate etiological approach. 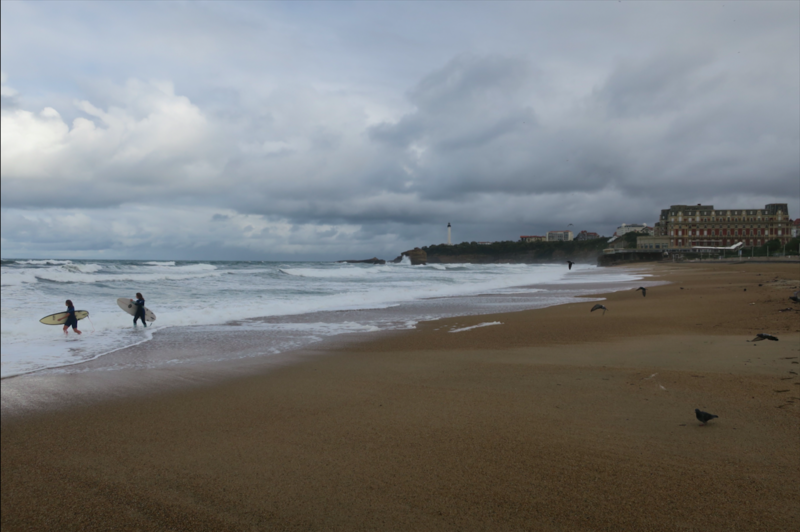 The surfing inspiration comes from Biarritz, one of my favourite destinations and where I have written this post. Price RD, Myers S, Leigh IM, Navsaria HA. 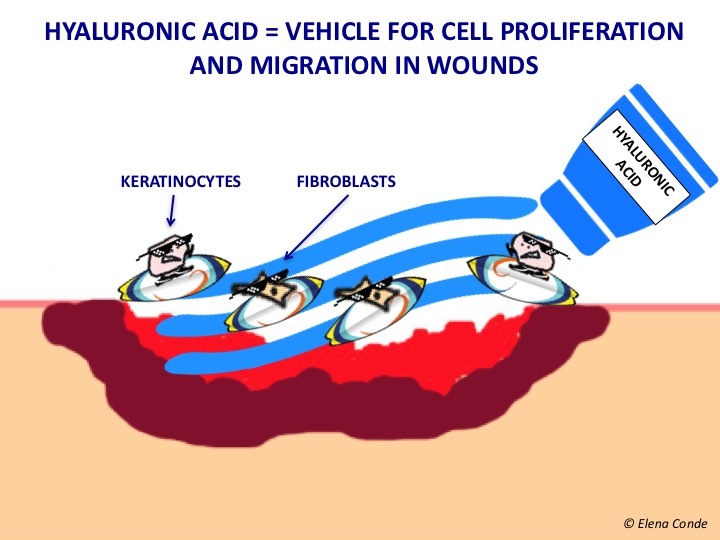 The role of hyaluronic acid in wound healing: assessment of clinical evidence. Am J Clin Dermatol. 2005;6(6):393-402. Voigt J, Driver VR. 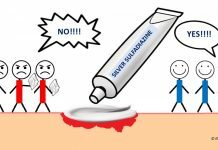 Hyaluronic acid derivatives and their healing effect on burns, epithelial surgical wounds, and chronic wounds: a systematic review and meta-analysis of randomized controlled trials. Wound Repair Regen. 2012;20(3):317-31.